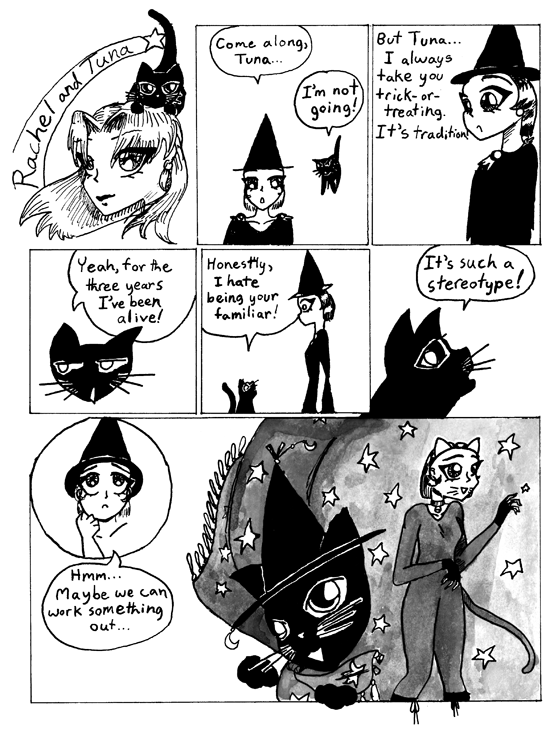 This was the final “Rachel and Tuna” comic, an experiment with grey washes. Notice how everything is hand-lettered. I only knew how to scan and save artwork as JPEGs at this time. Later I would start lettering using graphics editing software. You can tell I was still really into Cats at this time!